I have to admit, I was already in a somber mood when I awoke; as every imaginable Cartel stratagem had been used over the past three days to cap gold and silver’s advances, setting up the “no doubter” overnight attack that was first “signaled” by last night’s “mysterious” gold weakness at the 8:00 PM EST open of the “Globex” trading platform; i.e., the thinnest period of the global trading day, which the Cartel traditionally utilizes to launch paper raids. At 8:00 PM EST, Americans are eating dinner, Europeans are asleep, and Asians are just waking up. Thus, you can be sure that when gold prices fall at this time, it can only be due to pre-programmed computer algorithms. 2. A report highlighting Japan’s “demographic hell” front and center; as amidst its worst economic outlook in decades, and the world’s highest debt to GDP ratio, it was learned that the Japanese population declined for the third straight year, with a record 25% of the population above 65 years old. 3. An early gauge of Chinese GDP growth was well below expectations prompting the Yuan to fall to new multi-year lows. Typically, the truth-seeking crew at Zero Hedge does its best to report what’s really going on. For instance, highlighting the “13 YEAR LOW” in Chinese year-over-year M2 growth – when in fact, at 12%, it’s higher than nearly every nation on the planet. Not to mention, the fact that Chinese economic data – such as this year’s PBOC-projected “7.7% GDP growth projection” – is notoriously unreliable. 4. An unprecedented 15th straight daily decline in the Baltic Dry Index, a widely watched measure of global shipping activity. The BDI is now down 60% since year-end, representing its worst ever start to a calendar year. 5. A report concluding that 85% of all U.S. pension plans could fail in the coming three decades. The simple, irrefutable math behind this horrifying conclusion is that at the current, gargantuan rate of underfunding, a 9% annual return on investment would be required to meet projected obligations. Given the Fed’s “ZIRP to Infinity” policy – which we assure you, will never end – and pension plans’ typical 30% allocation in Fixed Income assets, it becomes nearly impossible to meet such lofty goals; let alone, when 55% of assets are held in equities sporting historically high valuations, amidst historically weak fundamentals and record margin debt. a) Higher than expected CPI inflation, at 0.2% versus the expected 0.1%; which would be a lot higher if real data were used, let alone, “ignored inflationary items” like surging taxes. After several months of tepid interest, foreigners became big buyers of long-term US securities in February, to the tune of a net $85.7 billion. The buying was centered entirely in US Treasuries, with other investment categories flat to negative. The heaviest Treasury buying came from Belgium, where accounts now hold $341.2 billion of US Treasuries, up more than $30 billion in the month. Belgium now ranks third in U.S. Treasury holdings above Caribbean banking centers at $299.7 billion. The number one and two holders of US Treasuries, China and Japan, show little change in the month at $1.27 trillion and $1.21 trillion, respectively. 2. 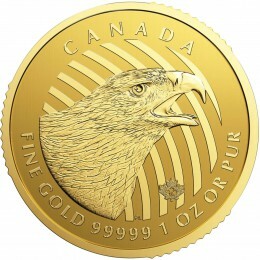 U.S. Mint Silver Eagle sales, yesterday alone, were 753,000 ounces, equating to 2.5% of annual U.S. mine production putting such sales on pace to exceed last year’s record level by 25%, and the post-2008 pace – in which every mint on the planet sold out for four months – by nearly 100%. …which as you can see, had ZERO impact on PPT-supported stock futures, whilst Fed-supported Treasuries blissfully rose amidst the “so-called recovery”; and oh yeah, the “white knight” Belgian buying that’s – LOL – offsetting the Fed’s “tapering.” And thus, in less than 24 hours, the Dow was trading at the exact same 16,130 level – amidst the aforementioned litany of global “horrible headlines” – whilst paper gold plunged from $1,331/oz. 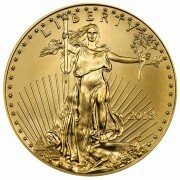 to $1,290/oz., or 3.1%; and paper silver, $20.10/oz. 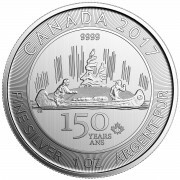 to $19.25/oz., or 4.2%. Heck, in silver’s case, the bulk of the decline occurred in just two hours. “We’re looking at best for it to be on par with 2013,” said Albert Cheng, managing director for the Far East at the World Gold Council. …and even Zero Hedge publishes headlines like “gold tumbles its most in four months on China slowdown fears” – whilst U.S., European, and even Asian stocks are flat to slightly higher, you can see why the Miles Franklin Blog expends so much energy telling its readers to locate the handful of “good, smart people” on the planet, and ally yourself with their beliefs. 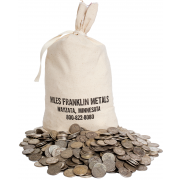 In May 2013’s “New York Gold Pool,” we wrote of how the U.S.-led “Cartel” has been covertly suppressing gold and silver prices for the past 15 years; which in my view, the Miles Franklin Blog, GATA, and countless others have sufficiently proven through years of diligent analysis. The catastrophic impact of such market manipulation is self-evident, as this attempt to mask the political, economic, and social destruction wrought by history’s first global fiat currency regime has been catastrophic – getting worse each day as its Ponzi-esque characteristics play themselves out. Quite obviously, the impact of suppressing real money’s value – whilst artificially propping up fake, fiat money’s “value,” is exponentially more negative than the 1960s attempt to overtly do so via the U.S.-led “London Gold Pool” – which spectacularly failed in 1968, after tens of thousands of tonnes were vaccuumed from Western vaults in a failed attempt to hold prices below the government-mandated level of $35/oz. Today, such gold (and silver) is being vaccuumed at an even faster rate; but in this case, it’s going to the Eastern hemisphere, where it will continue to go until there is nothing left for the West to suppress with. Meanwhile, the inflation created by enabling the dollar and other “leading currencies” to print with impunity is setting the stage for hyperinflation and inevitably, civil and national wars. Similarly, simple math tells us the global fiat currency regime must inevitably collapse – likely, sooner rather than later; while the blatantly obvious “New York Gold Pool,” too, will eventually be destroyed. Remember, after the London Gold Pool was disbanded in 1968, gold rose by a factor of 25 in 12 years time. This time around, anything goes from a nominal point of view with the only “guarantee” being that in real terms, gold’s (and silver’s) gains will be historic. What would it take to “topple the gold/silver dictatorship”?There is no secret regarding the whys and wherefores; what’s need is the “triggering device” that blows up this charade called democracy? Are there at present “unknown factors” that your experts have overlooked? If so what would they be? Our experts didnt see it because they were paid not to see it, that’s plain to see, and we are still listening to the same corrupt idiots called the “media”.